The World Travel Awards are leaders in the travel sector, with over 650,000 individual votes cast by travel professionals and consumers. 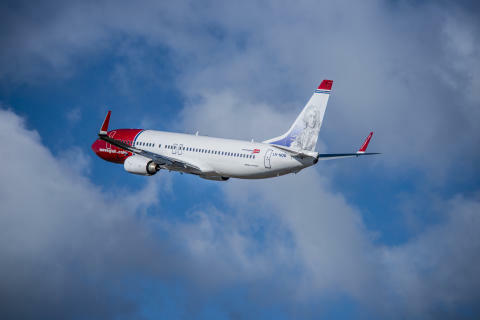 Bjorn Kjos, Norwegian’s CEO, said: "This accolade is an important endorsement not only to Norwegian as an airline, but to the work of thousands of dedicated employees across our organization. "Their commitment to passenger welfare is unmatched and together with new aircraft, low fares and free Wi-Fi represents what sets Norwegian apart from our competitors. 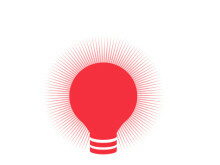 We would like to thank the thousands of customers that have cast their vote for Norwegian." 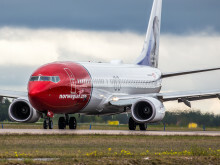 Norwegian faced competition in the category from renowned international companies such as Aer Lingus, Air Berlin, easyJet, Monarch, Ryanair and Vueling. Graham Cooke, World Travel Awards President, said: "It is a great honour to present the trophy for Europe’s Leading Low-Cost Airline to Norwegian for the first time. "Europe is a global leader in low-cost air travel, with some incredibly strong brands making it one of the most competitive markets anywhere on earth. To triumph here is a great credit to the work Norwegian is doing and World Travel Awards wishes them every success in their future endeavors." The Europe’s Leading Low-Cost Airline 2015 award is the seventh honour awarded to Norwegian over the last twelve months: three Apex Passenger Choice awards (Best in Region: Europe, Best in Inflight Connectivity & Communications, and Best Single Achievement in Passenger Experience) two Sky Trax World Airline awards (World's best low cost, long haul airline and Europe’s Best Low-Cost Airline –this one for the third year in a row), one AirlineRatings.com award (Best European low-cost airline), and today’s trophy. Alfons Claver, Norwegian’s Institutional Relations Manager in Spain, accepted the award yesterday at the Grand Tour of World Travel Awards Gala ceremony at the Forte Village resort of Sardinia (Italy). World Travel Awards was established in 1993 to acknowledge, reward and celebrate excellence across all sectors of the tourism industry. Today, the World Travel Awards brand is recognised globally as the ultimate hallmark of quality, with winners setting the benchmark to which all others aspire. In 2015, World Travel Awards will celebrate its historic 22nd anniversary year. The annual programme is renowned as the most prestigious and comprehensive in the travel and tourism industry. In 2014, over 650,000 individual votes were cast by travel professionals and high-end tourism consumers. The Grand Tour of World Travel Awards Gala Ceremonies are regarded as milestone events in the industry calendar, attended by the industry’s key decision makers, chief figure heads and the leading trade and consumer media. Norwegian first launched UK flights in 2003 and is Europe’s third largest low-cost airline. The carrier operates from London Gatwick, Edinburgh, Birmingham and Manchester Airports to 34 destinations worldwide.